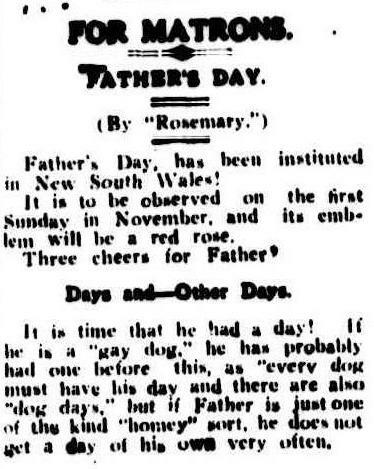 The first mention of Father’s Day in the Australian press seems to be nearly a hundred years ago in a mention in the Adelaide Register of 10 December 1913 based on a search of the National Library of Australia’s Trove newspaper database using the keywords “Fathers day” and “first Sunday”. 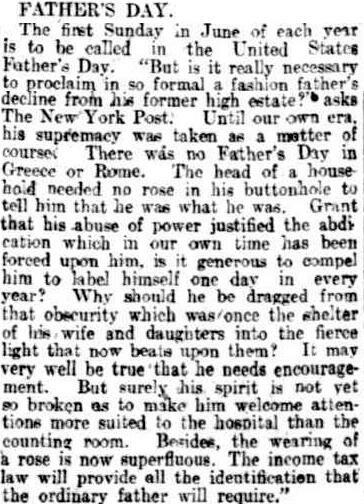 There is a slightly earlier article along the same lines in the Sunday Times (Sydney, NSW : 1895 – 1930) Sunday 7 December 1913 on page 8. There seems to be no explanation as to why the first Sunday in November was chosen. From the Wikipedia article on Father’s Day, it seems that currently nowhere in the world chooses to celebrate Fathers on the first Sunday in November though there are a great diversity of days used for the celebration. 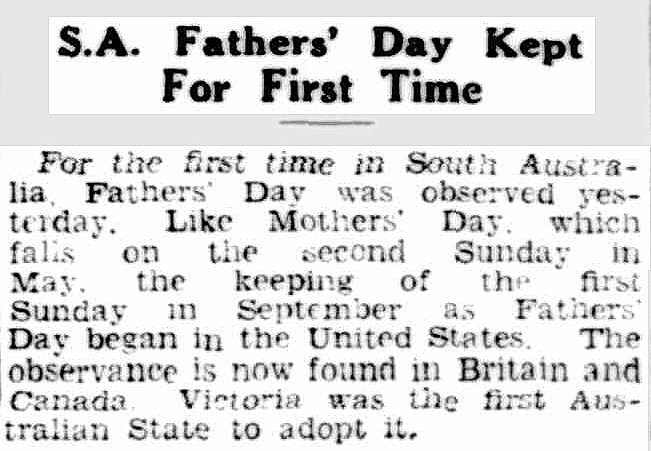 1935 is the first mention I have found for the adoption of our current date of the first Sunday in September for celebrating Father’s Day in Australia. 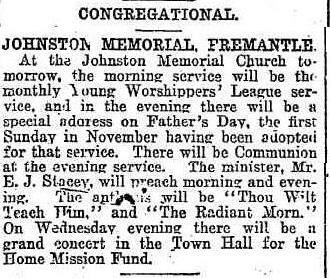 I haven’t found any mention in my searches of Trove of the state of Victoria having adopted the observance earlier than this. 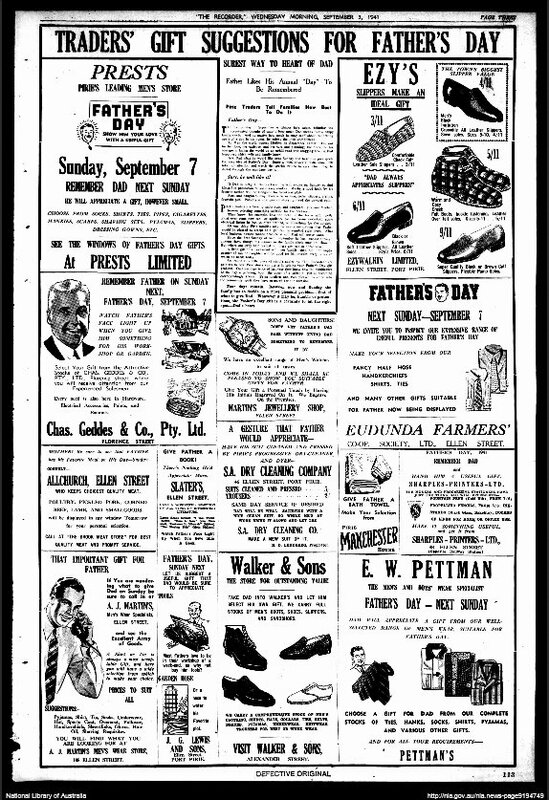 No power tools but slippers, ties, shirts – some things remain the same in the commercialisation of such celebrations. Without fathers we wouldn’t be here – so to all the past and present fathers in my family tree, Happy Father’s day for tomorrow.